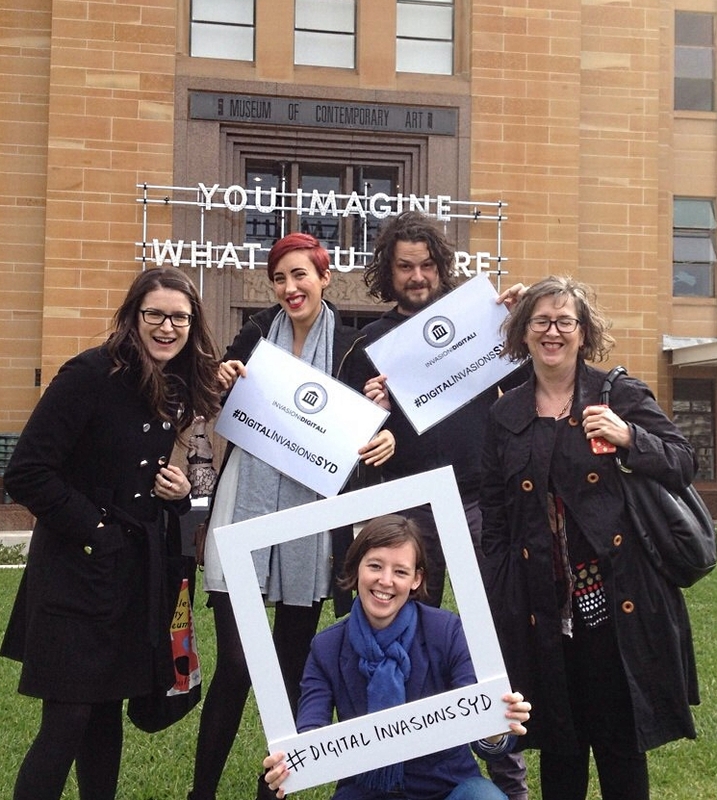 The Digital Invasions concept came to Sydney last Saturday, 3 May. Despite the weather, six of us headed to the Museum of Contemporary Art Australia (MCA Australia) and the Lucy Osburn-Nightingale Foundation Museum. The concept originated in Italy and this year it’s global with more than 400 invasions happening between 24 April and 4 May (you can read more about it here). It’s part of a larger cohort of museum advocacy projects around the world, which I talked about in my last post about conversations in museum social media communities. The Sydney team shared their visit experience with around 75 Instagram posts, 60 Tweets, 30 Facebook posts and a handful of Vines in the mix. Not bad for a small group of first-timers! Some of us were from the museum and collections sector, others weren’t; but everyone was enthusiastic and left tired and excited. I hope we put these museums in front of a few eyeballs. Special thanks to the museums we visited. 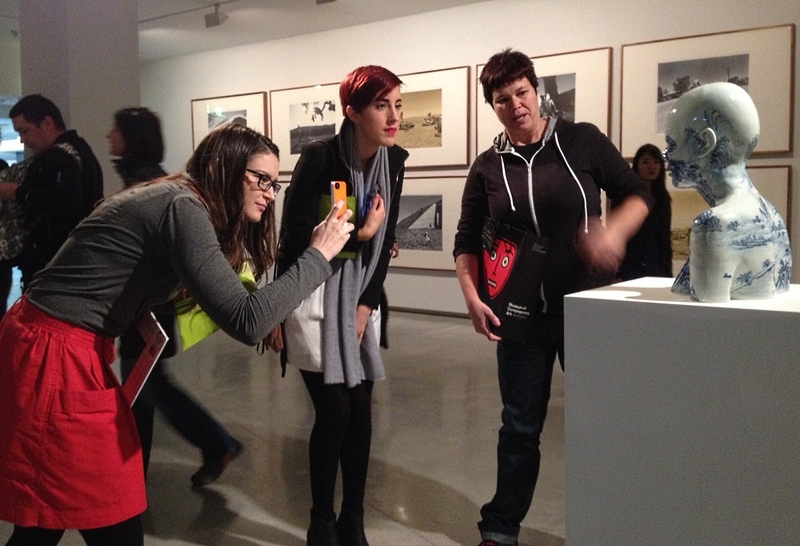 MCA Australia greeted us with Instagram pics, an educator to provide a personalised ‘highlights’ tour and welcome packs. They entrusted us to kick-off a new hashtag for their permanent collection galleries, #MCACollection, which we had a lot of fun with. The curator at the Lucy Osburn-Nightingale Foundation Museum, Elinor Wrobel OAM, kept us amazed for over an hour, allowing us to share photographs and video, which isn’t normally allowed here. A score for the Digital Invasions initiative. In turn, I hope we inspired a few people to visit these museums or take their mobiles to share whichever museum they next visit. Here’s to next year and a bigger Digital Invasion of Sydney. 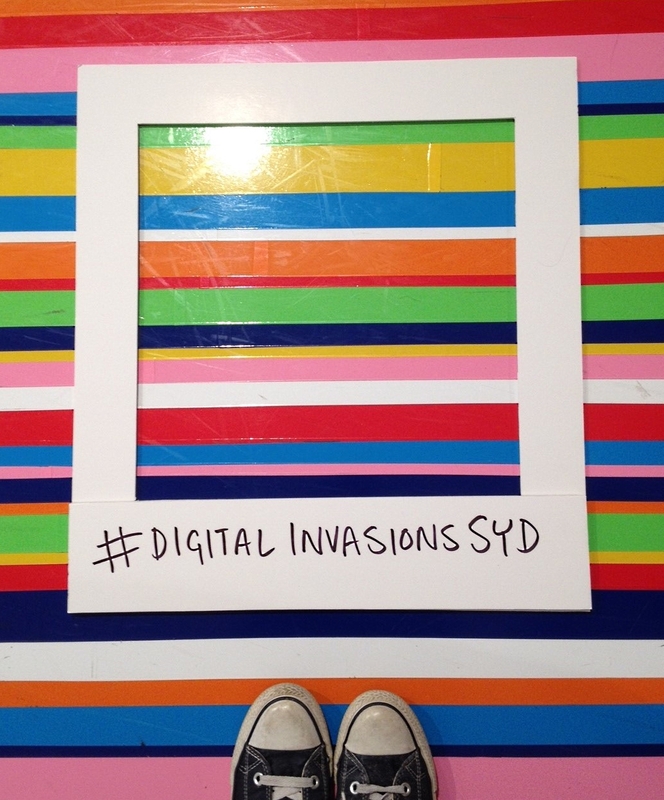 In the meantime, you can check out a collection of the Digital Invasions Sydney posts over at Storify.